The discovery of precious negatives depicting Lawrence of Arabia at the height of his fame has sparked huge interest from TE Lawrence collectors worldwide, according to auctioneers. Thought to date back to 1928 the four glass plate negatives were found among a collection of more than 30 images by an unnamed photography enthusiast who came across them by chance at an auction. 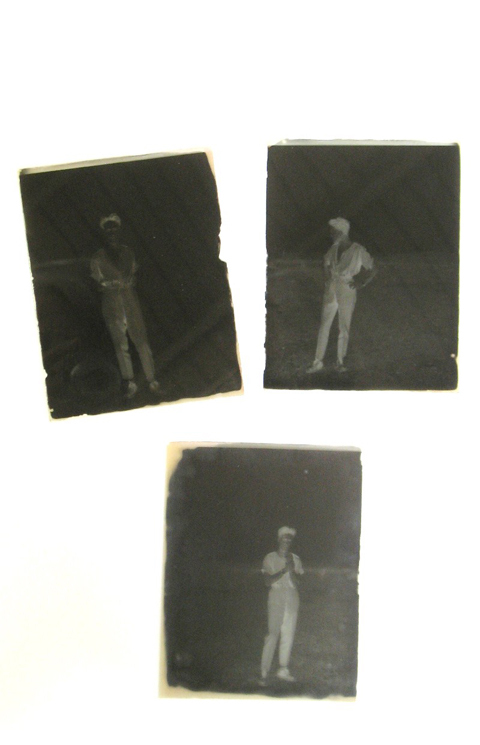 Though copies of the pictures have been seen before, the 5x4in black and white negatives were previously considered lost. ?They show the complex hero of the Arab Revolt standing in the open at Miranshah near the Afghanistan border looking slightly forlorn with his shirt undone to the waist,? said a spokesman for Duke?s auctioneers in Dorchester, Dorset which is selling the collection on Friday. ?In one he is holding his wrist which he injured. He wrote to George Bernard Shaw?s wife from the tiny RAF base telling her about it.? Huge interest in the collection over the past few days means auctioneers expect it to exceed its original estimate of £1,500, according to the auction?s valuer Deborah Doyle. Lawrence died in 1935 aged 46 after a motorbike crash near his Dorset home. The collection?s discovery in the county has prompted speculation that the negatives originated from Lawrence?s own collection – the pictures possibly captured on Lawrence?s own camera by an RAF colleague. For years the previously unseen treasures had languished in an old box. This is because the buyer – who wants to remain anonymous – didn?t realise what he had when he bought the Victorian stereoviewer they were bundled with. Other images show people ? possibly Lawrence?s family – alongside landscape photographs of places he may have visited. However, auctioneers have now ruled out their initial assertion that two of the pictures show Lawrence in uniform standing in a doorway. Doyle told us today that this was a case of mistaken identity.